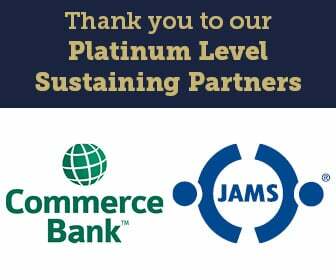 The operations of BAMSL are supported by a staff of 10 full-time employees, led by Executive Director Zoe Linza. Please feel free to contact any of BAMSL's staff members at 314-421-4134 for assistance. 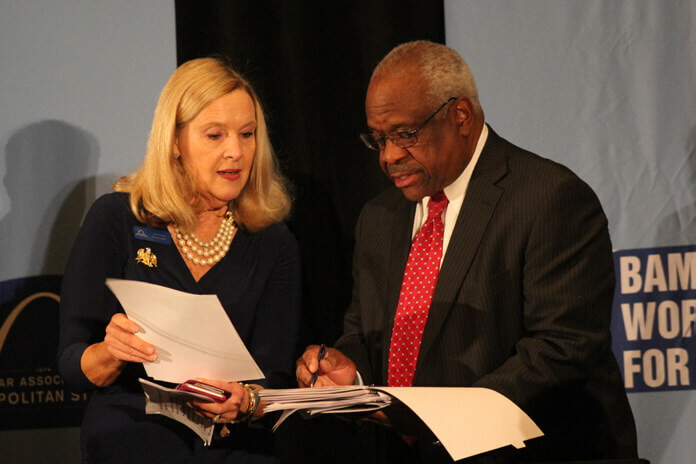 Linza is the chief operating officer and managing executive of BAMSL and the Saint Louis Bar Foundation. She oversees the development of programs and policies, provides direction to the Executive Committee and the Board of Governors, and supervises day-to-day operations. Linza also is responsible for the financial health of the organization, including fundraising, sponsorships, and supervising fiscal and budgetary matters such as budget preparation and accounting. She also is responsible for managing the implementation of the mission statement and ensuring the effectiveness of the BAMSL staff. She serves as staff liaison with local, state, and federal elected and appointed officials at executive, legislative, and judicial levels. 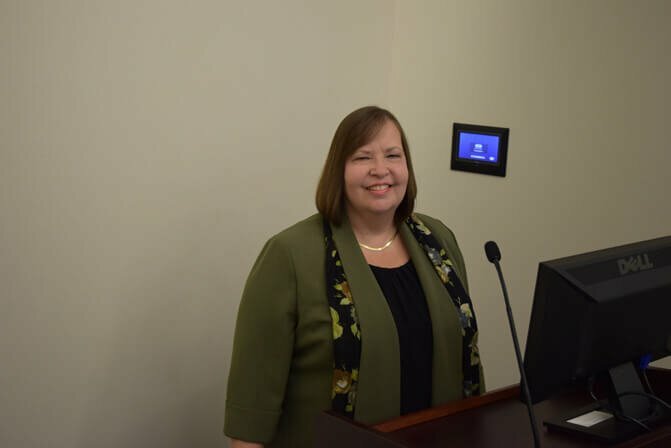 She makes recommendations to the boards of both organizations about broad general policies that will further the goals and objectives of the Association. She is the face of the bar and is expected to establish and maintain positive relationships with members of the judiciary, other bar associations, and the general public. Her duties include being visionary and constantly aware of changing trends in membership, and changing needs of the members of the legal community. Barnett oversees IT and facilities. He is responsible for the annual membership renewal process and dues invoicing. He coordinates law-related education programs and public service programs such as Missouri High School Mock Trial Competition, Motion for Kids, and pro bono educational and volunteer opportunities. He serves as the staff liaison to the Motion for Kids and Pro Bono Committees and is active on other committees, including the Board of Governors and Executive Committee. He is a 2016 graduate of Saint Louis University School of Law. Sagarra oversees all communication efforts, both internally with staff and members as well as externally with the media and public. She also is responsible for overseeing membership retention, recruitment, and enhancement. 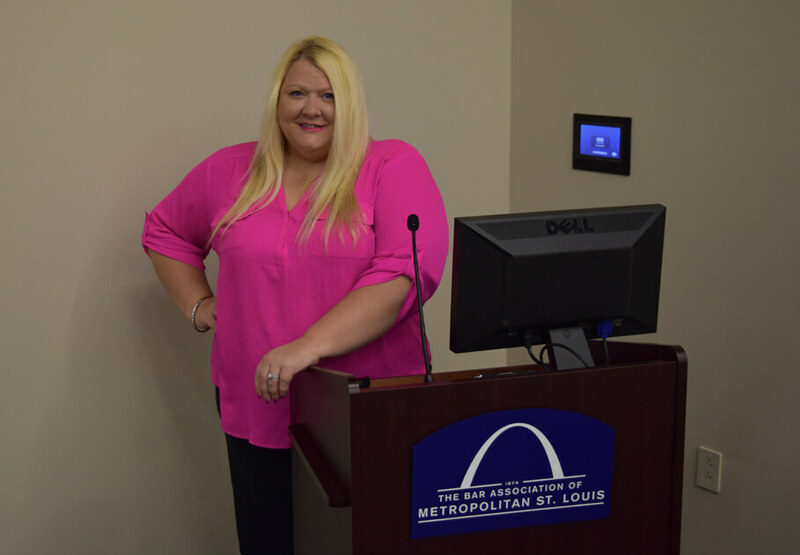 She serves as editor of the monthly St. Louis Lawyer magazine, weekly LegalPulseSTL e-newsletter and is the staff liaison for the Young Lawyers Division, Membership Committee, Communications Committee and the St. Louis Attorneys Against Hunger Committee. She also is active on other committees, including the Board of Governors, Executive Committee, Motion for Kids Committee and Bench & Bar Committee, and assists with implementing signature events. Portell serves as director of accounting for three-plus companies, processing more than 4,000 membership dues payments each year. 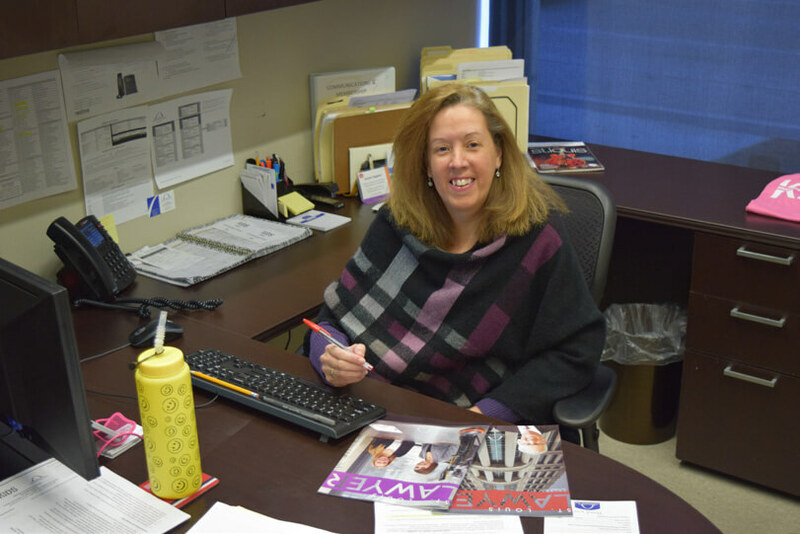 Her responsibilities include master billing, collections, accounts payable, accounts receivable, receptionist backup, ordering office supplies and overseeing the updating of membership profiles. 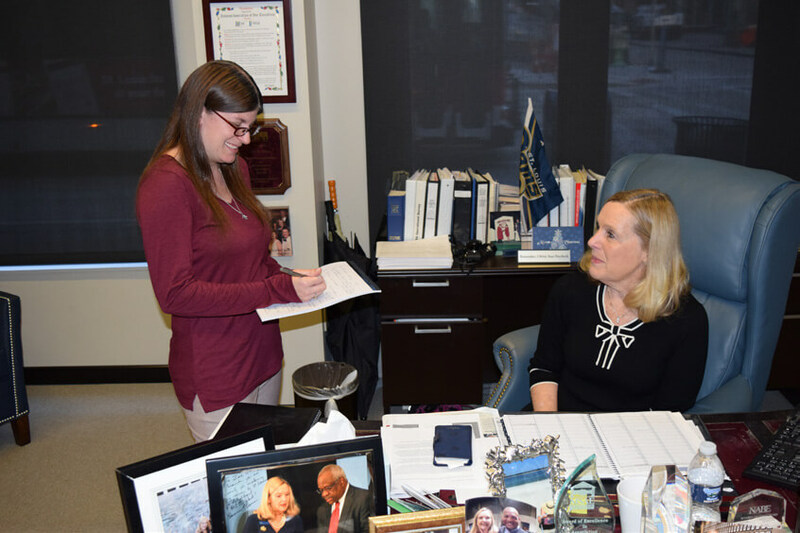 She also is responsible for end-of-year audit reports, reconciling more than 12 bank accounts, preparing the monthly financial reports, performing HR services, preparing the budget and serving on the Motion for Kids, Budget, Finance, and Membership Committees. 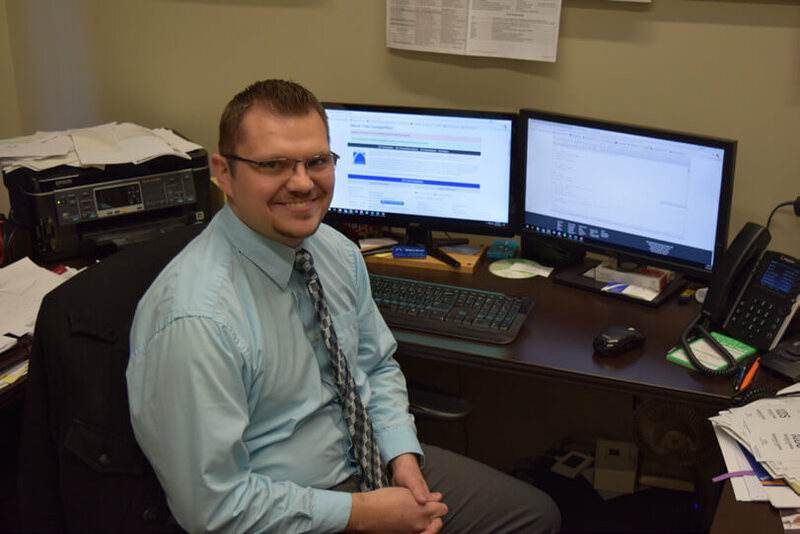 Hall is responsible for overseeing the CLE Department, ensuring compliance with state CLE standards and reporting requirements, and assisting in member relations. Hall works directly with the CLE Committee chair and serves as the staff liaison for BAMSL's Sections and Committees, implementing CLEs and signature events. Hall has been a staff member since 2001, holding positions in Lawyer Referral and Membership before CLE. Macke independently operates BAMSL's Legal Placement Service. 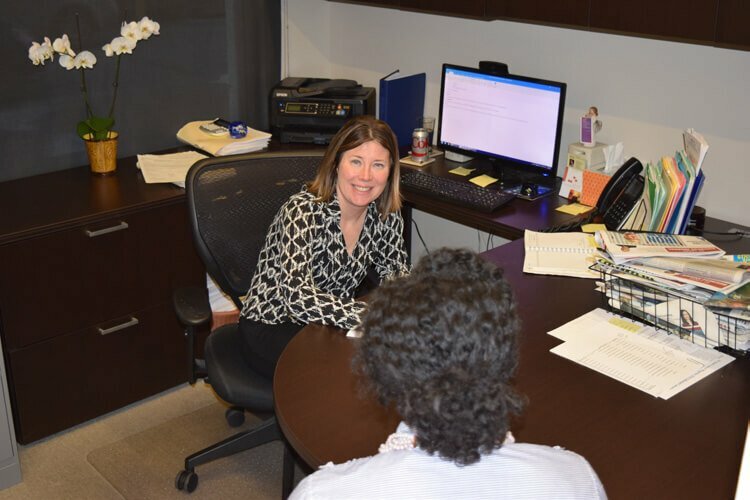 She is very successful in placing legal secretaries, paralegals, and attorneys in permanent positions with area law firms and in-house legal departments. Additionally, she sells advertising space in the monthly St. Louis Lawyer magazine and quarterly St. Louis Bar Journal on a part-time basis. Macke previously was an associate attorney with a law firm in Ventura, Calif.
Krebsbach began her career with BAMSL in membership, assisting the LRIS and communications director, before transferring to the CLE department a year later. As a staff liaison for BAMSL's Committees and Sections, she implements CLEs and assists with signature events. Hedrick is the assistant to the Executive Director and staff liaison for the Saint Louis Bar Foundation. She oversees sending out meeting reminders and calendar invites for the Executive Committee, Board of Governors, Bar Foundation, and other committees as needed. She oversees the Senior Lawyers Luncheon and the Summer Associates Luncheon. She also handles membership questions and dues renewal. She performs other tasks as assigned by the Executive Director and serves as the Arts & Crafts/Games Chairperson for the Motion for Kids holiday party. 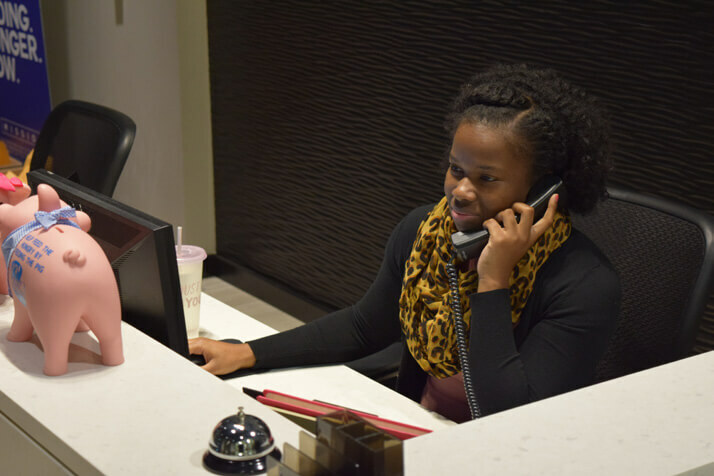 Kogbara answers the telephone, assists members with their membership needs and greets members and visitors to BAMSL. She completes data entry and schedules room rentals for members/non-members who are interested in using BAMSL's space. She also is responsible for updating BAMSL's master calendar, Outlook calendar, and Local Bar Association calendars for the staff and Board. 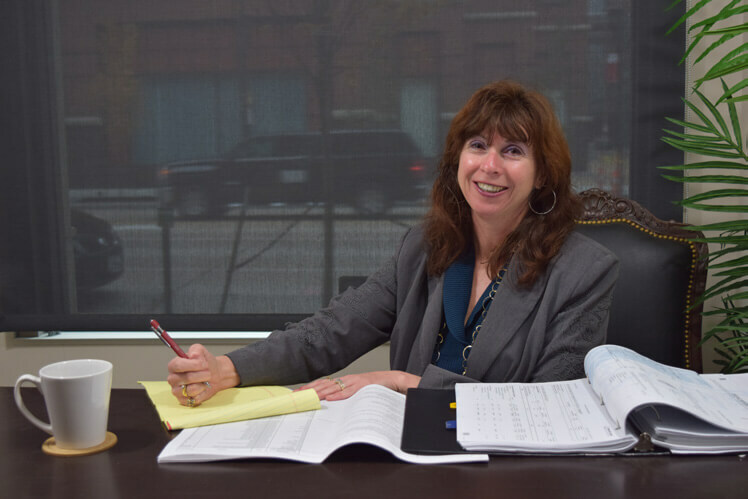 She coordinates the administration of the Young Lawyers' Division, Membership Committee, Communications Committee and the St. Louis Attorneys Against Hunger Committee, including meeting notices and agenda distribution. She also assists in maintaining BAMSL's active social media presence.